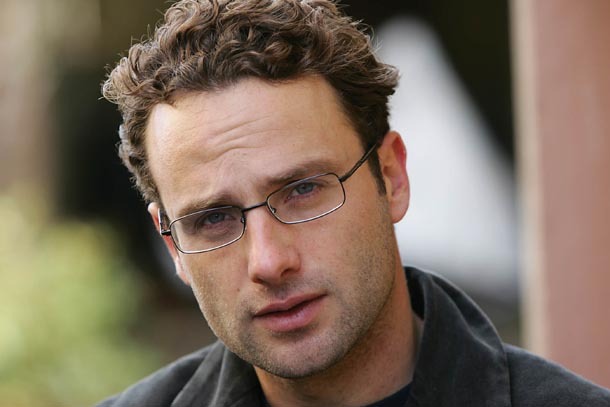 Andrew Lincoln is a British actor best known for his lead role as Rick Grimes in AMC horror drama series The Walking Dead. His other credits include Channel 4 sitcom Teachers, Christmas-themed romantic comedy film Love Actually, and Strike Back. Born Andrew James Clutterbuck in London, England, Andrew is the son of an English civil engineer and a South African nurse. He has been married to Gael Anderson since 2006. They have two children. Attended Beechen Cliff Secondary school in Bath, Somerset (UK). *His family moved to Hull when he was 18 months old. *He is close friends with co-star Norman Reedus. *He is a supporter of Shelter, the British charity for the homeless. *He couldn’t sleep in the night after one scene in the season 2 of The Walking Dead, in which he chopped off another actor’s fake leg. The blood and screams in the scene were traumatic for him. *His wife, Gael Anderson, is the daughter of Ian Anderson, lead singer of the rock group Jethro Tull.